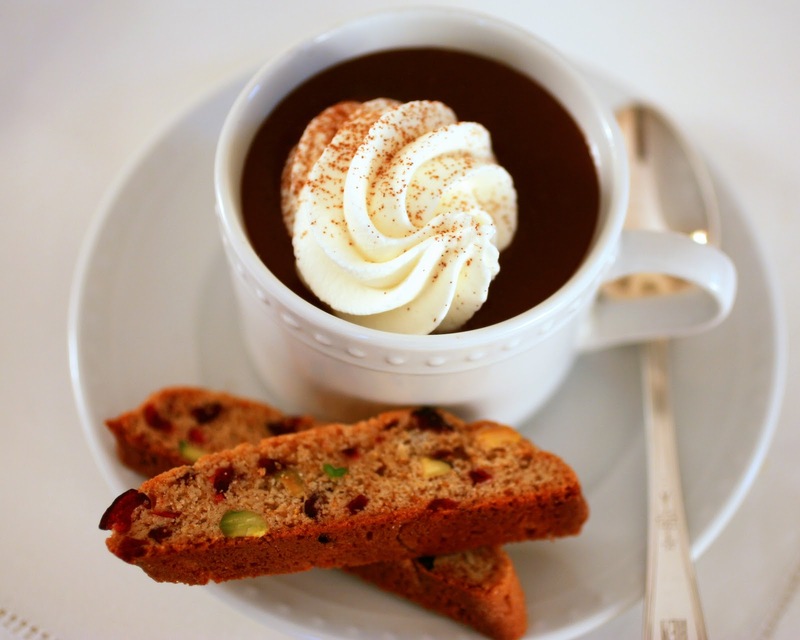 look great dipped in white chocolate—try to use a high-quality white chocolate couverture, and, for a shiny, flawless finish, temper it first. 1. Position a rack in the center of the oven and preheat to 350°F. Line a large baking sheet with parchment paper. 2. In a large bowl, combine the flour, sugar, baking powder, salt, and cinnamon. Stir with a wire whisk until blended. 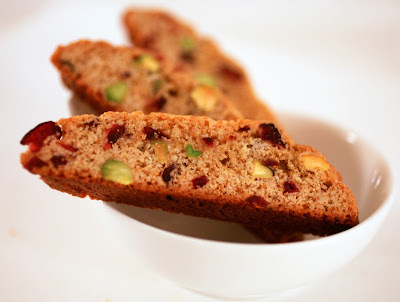 Mix in the pistachio nuts and dried fruit. Set aside. 3. In another bowl, whisk together the eggs, honey, olive oil, and grated zest. Use a fork to stir the egg mixture into the dry ingredients, stirring until the dough clumps together. 4. 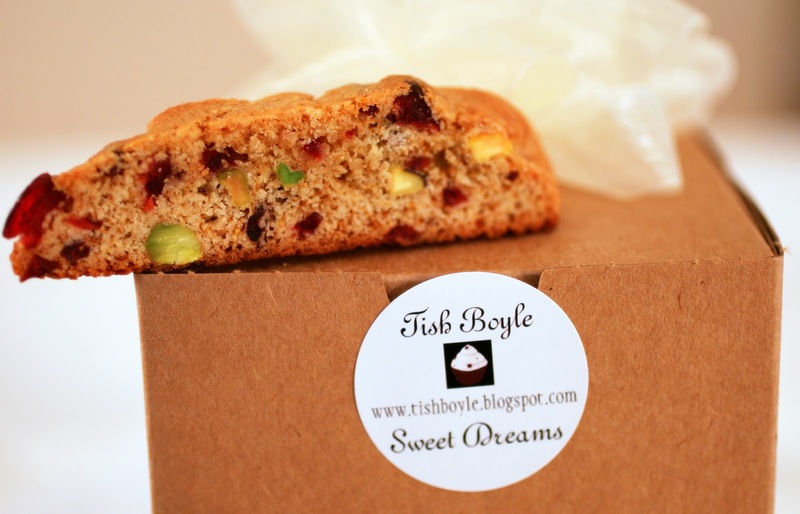 Turn the dough out onto a lightly floured work surface and press the pieces of dough together. Divide the dough into halves. With lightly floured hands, gently roll each half into a log about 13 to 14 inches long. Carefully transfer the logs to the prepared baking sheet, placing them at least 3 inches apart. Bake for 25 to 30 minutes, until the logs are well-risen and firm. Set the baking sheet on a wire rack and cool the logs completely. 5. Peel away the parchment paper and transfer the logs to a cutting surface. Using a serrated knife, cut the logs on the diagonal into 1/2-inch thick slices. 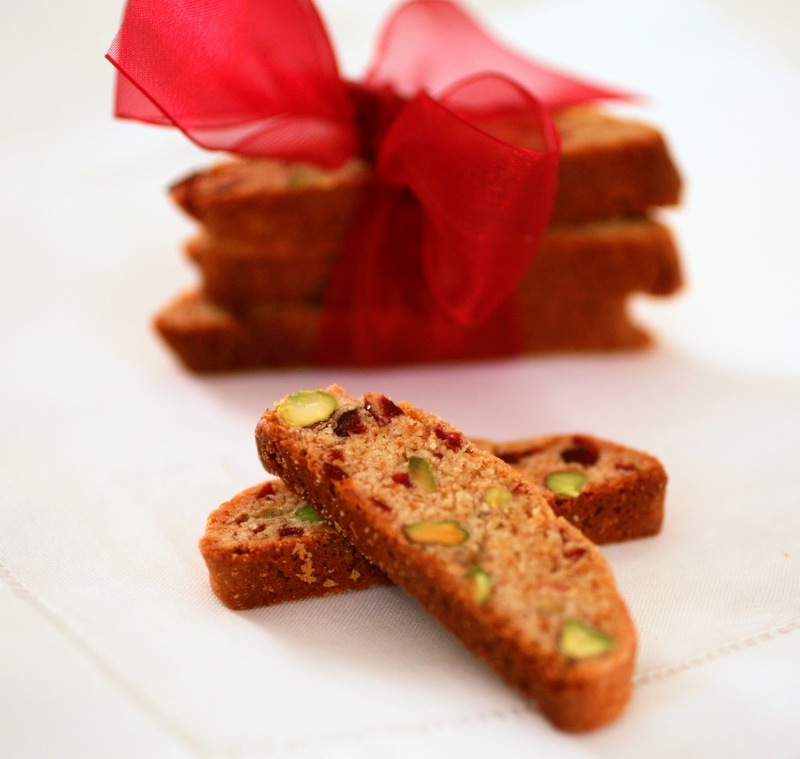 Place the biscotti, standing up, on a baking sheet lined with a clean piece of parchment paper. 6. 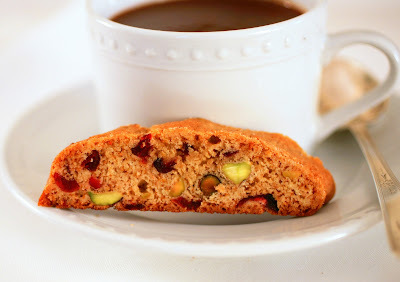 Reduce the oven temperature to 325°F and bake the biscotti for 10 to 15 minutes, until dry. Set the baking sheet on a wire rack and allow the biscotti to cool completely.